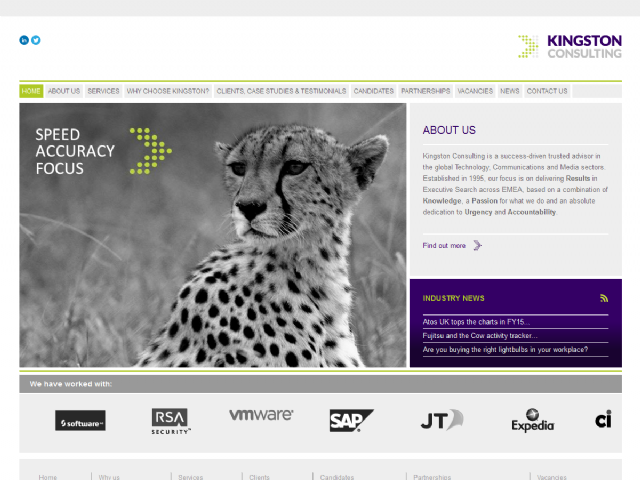 Kingston Consulting is a trusted advisor in the global technology, communications and media sectors. Our focus is on delivering results and highest levels of service to our international client and candidate base. In a fast moving world, pressure for the best performing people who will have immediate impact, is ever greater and this is where we make a real difference. Our Teams work closely with our customers to help them boost performance, increase revenues and improve profitability by identifying, attracting and securing the highest calibre people in the UK and Internationally. Our approach is highly focused on working in close partnership with our clients and delivering results which always exceed expectations.Founded over 15 years ago, Kingston Consulting works across the technology, telecoms and media sectors, with both established Global Brands and start-ups.